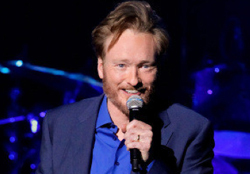 Conan O’Brien wants his masturbating bear, and he dares NBC to sue him over it. In an interview with Rolling Stone, O’Brien said he will figure out a way to have some of his trademark bits from his NBC shows to his TBS show, which premieres on November 8. He said his dream situation would be to be dragged into a lawsuit over the character, which was a staple of his “Late Night” show.